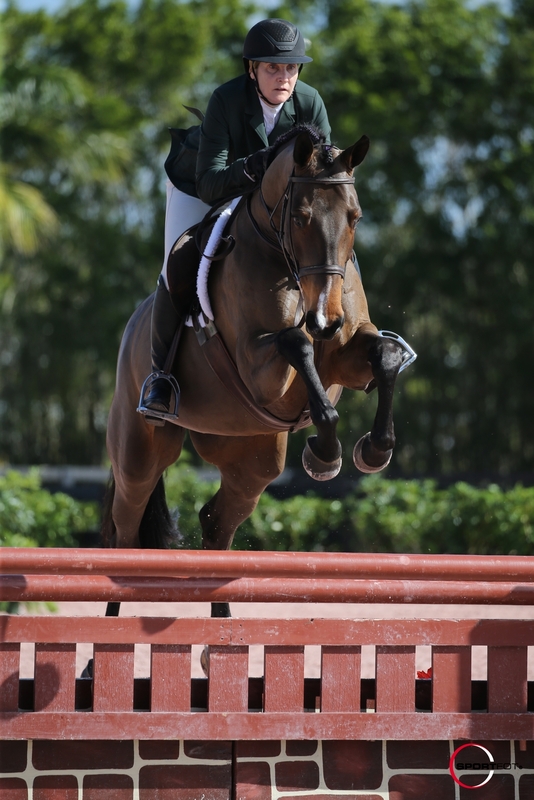 Wellington, FL – January 31, 2018 - Trainer Steve Schaefer and Bellis Show Jumping, Maple Park, Illinois, are already generating wins at the prestigious Winter Equestrian Festival (WEF) in Wellington, Florida. The show team spends the winter riding and showing in the sunshine state among some of the toughest competition in the country. Schaefer has created a family friendly atmosphere providing a winning environment in and out of the ring. 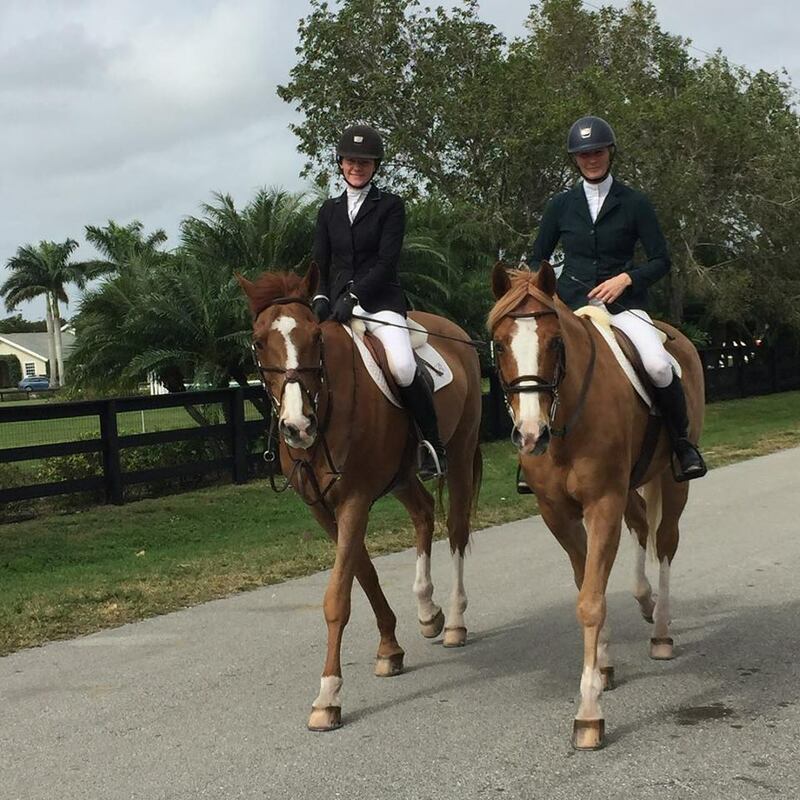 This past week during WEF 3, the Bellis Show Jumping mother-daughter team of Heidi Schaefer and Caelinn Leahy donned matching show outfits to bring matching tri-color championships back to the barn after topping the leader board in their divisions. 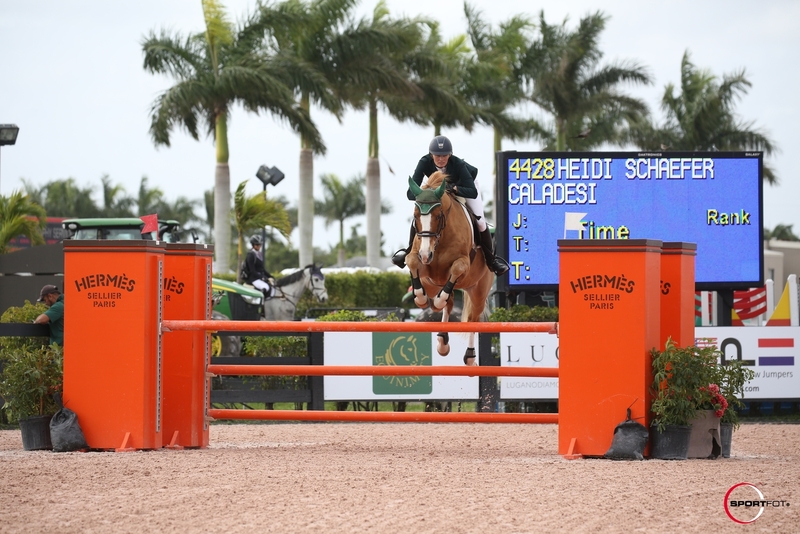 Heidi showed off team Bellis’ ability to ride fast as she took the top spot in the $1,500 Adult Jumper Speed class and was 2nd in the $10,000 Adult Jumper Classic aboard Caladesi. 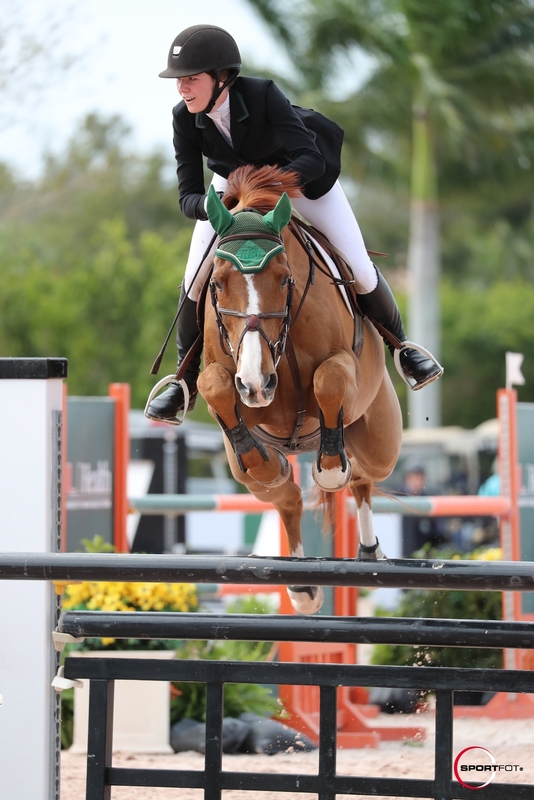 Caelinn won the $10,000 Low Junior Jumper Classic with Splendor and was third in the speed class. “It’s fun to have your kid rooting for you. She is a real competitor and it doesn’t matter who is in the ring, she is always very competitive and supportive for her team of Bellis riders. It is important that all three of us have the same sense of humor, that goes a long way and our riders are all on that same boat with us,” said Heidi. Schaefer has a competitive spirit and his knowledge of the sport keeps the team moving forward to more opportunities. During week one, Caelinn rode in the Battle of the Sexes for the Saturday Night Lights event, turning in impressive clean and fast rounds for the ladies’ team. Schaefer and Caelinn have had great success together; she came to him a timid kid and has never looked back. Schaefer is good with all the kids and adults in the barn, giving them the tools and confidence to move up and achieve their goals. “Steve helps me want to push myself to get better. I think that he believes in me sometimes more than I do, which helps me to succeed and get to the next step. We’re always thinking about the next step,” revealed Caelinn (pictured left on Splendor). Bellis customer Holly Yeterian hit the ground running in Florida during week one and two, winning the Adult Amateur Hunter Hack and an over fences along with other top ribbons on her Color Pearlz. Schaefer rode the talented mare in the High Performance Conformation Hunters, earning great ribbons including the blue ribbon in the under saddle and 2nd in the Handy. 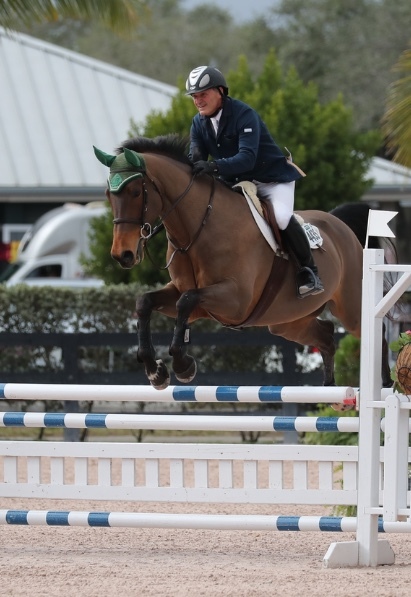 Schaefer kicked off WEF 4 with Color Pearlz winning both over fences classes and taking second in the model and the hack in the High Performance Conformation Hunters. Holly’s husband, Matt, and his mount Zaniboy were 4th in the $1500 Low Adult Jumper Classic week 2. 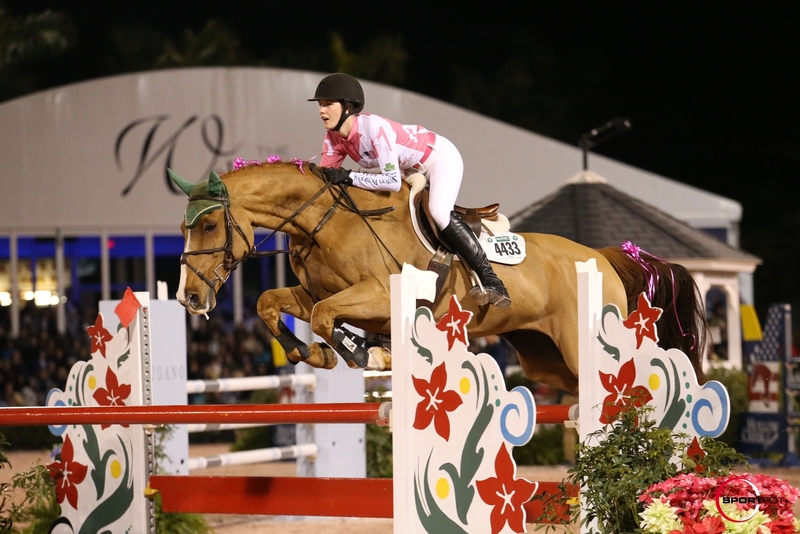 Bellis Show Jumping will continue competing at WEF and extend an invitation to other riders wanting the WEF experience. They also have quality imported horses for sale, contact Steve Schaefer for more information. 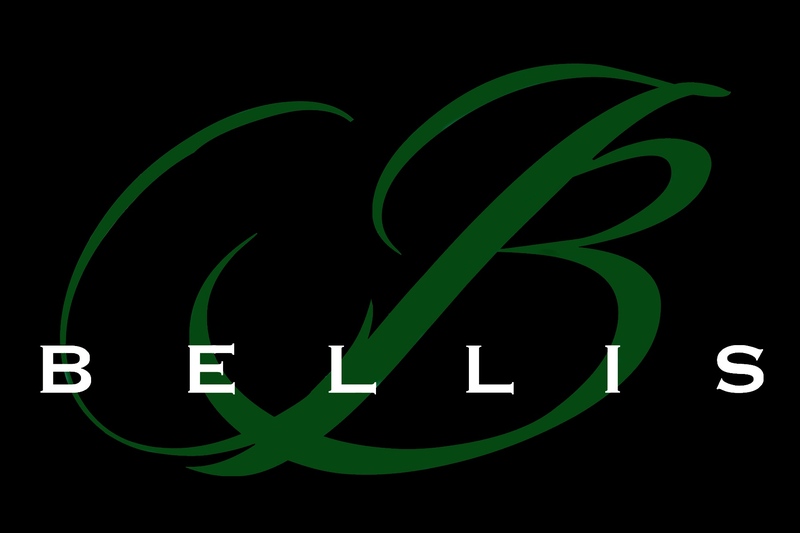 For more information, please visit their website at Bellisshowjumping.com or follow them on Facebook. Hunters, jumpers, equitation, showing, training and sales.